Please see the pdf below for more information. “Mobile payment usage continues to gain customer adoption and is forecasted to grow tremendously. Today, 97% of people under the age of 45 and 68% of people over age 65 own a smart-phone. Studies show that people spend two-thirds of all digital time on a mobile device and 58% spend the majority of time on mobile apps. Considering the fact that close to 60% of consumers buy gasoline at least once a week, the Liberty Pay mobile app provides the opportunity to expand contact with Liberty customers,” the company said. Liberty Petroleum is using P97 Networks Inc.’s PetroZone mobile commerce platform to allow Liberty distributors to access the platform at more than 400 locations in 23 states. 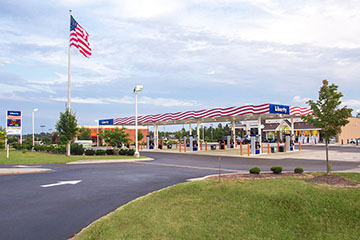 Liberty distributor Ewing Oil, located in Hagerstown, Md., has stations up and running, and they are currently in the process of rolling mobile payment out to all of the Liberty sites. PetroZone is both Payment Card Industry (PCI) and Europay, Mastercard and Visa (EMV) compliant, and utilizes Microsoft Azure Cloud Services, with multifactor authentication to secure cardholder data. Liberty said that mobile pay is generally more secure than EMV. Through the Liberty Pay app, consumers are able to locate and navigate to Liberty gas stations, initiate fuel purchases from their smartphones and receive site-specific digital offers. Liberty Pay will guide consumers through the entire retail gas and c-store experience from the beginning to end. Liberty Pay does not require the installation of Near Field Communication panels, scanners or other hardware at the fuel dispenser. About Liberty Petroleum and the growing Liberty family. Liberty is exhibiting at the 2019 Southeast Petro-Food Marketing Expo March 6 - 7, 2019 at the Myrtle Beach Convention Center in Myrtle Beach, South Carolina. Please make plans now to be a part of the 2019 SE Petro-Food Marketing Expo! The dates at Myrtle Beach are March 6-7, 2019. We invite everyone to visit our booth 1803 while attending the Expo. 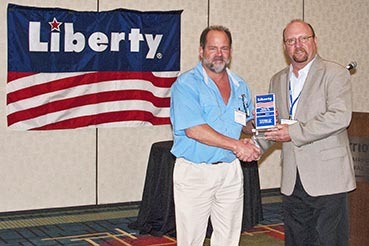 Liberty is exhibiting at the Florida Petroleum Marketers Sunshine Expo on July 27 & 28 in Orlando. Please stop by Liberty’s booth 301 while attending the Expo. 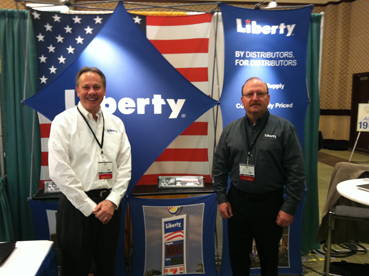 Please stop by the Liberty booth 206 and find out more about the Liberty program built by distributors for distributors. erty is working to grow the Liberty brand in Texas. Please visit the Liberty booth to learn how the Liberty program offers you the freedom to compete. Liberty is exhibiting at the 2018 Southeast Petro-Food Marketing Expo March 7 - 8, 2018 at the Myrtle Beach Convention Center in Myrtle Beach, South Carolina. We invite everyone to visit our booth 1803 while attending the Expo. Liberty is exhibiting at the 2018 Gulf Coast Food & Fuel Expo March 14 -15, 2018 at the Mississippi Coast Coliseum & Convention Center in Biloxi, Mississippi. We invite everyone to visit our booth 802 while attending the Expo. Liberty Petroleum is a national independent branded supplier of motor fuels. Liberty offers a first-class brand image with secure, competitively priced supply along with a low-cost, efficient credit card processing program. 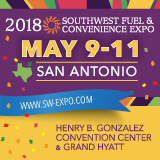 We invite you to visit the Liberty Petroleum booth while attending the Southwest Fuel & Convenience Expo in Fort Worth (May 16-18). We will share the Liberty program with you and describe the benefits of flying the Liberty flag. 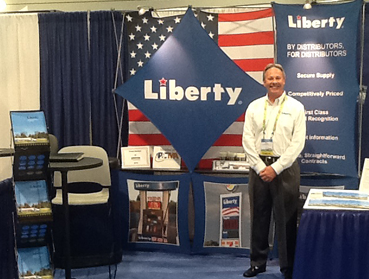 Please visit booth 210 to find out how Liberty Petroleum can give you the freedom to compete. We hope to see you in Fort Worth. The 2017 Liberty Distributors Meeting was held Wednesday, April 5, at the Atlanta Airport Marriott Gateway Hotel. Alan Rice from Stubbs Oil Company, Inc, receives a 15-Year Distributor Recognition Award at our Annual Distributors Meeting. John Patrick, Liberty COO, introduces the speakers for the business development sessions. 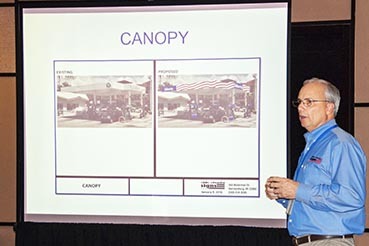 Bob Runion, from Eddie Edwards Signs, shows attendees the steps involved in facility re-branding. 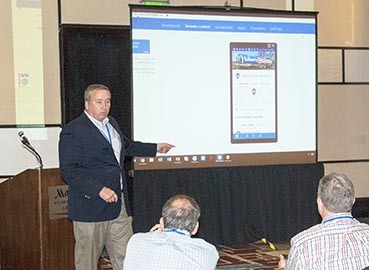 Craig Hanson, from Wash Tech, discusses the financial benefits of a car wash.
Paul Cwalina, from P97 Networks, Inc., presents information on the new developments in mobile marketing and mobile payments systems. 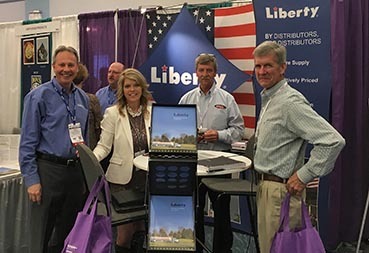 Liberty exhibited March 8 - 9, 2017 at the Southeast Petro-Food Marketing Expo in Myrtle Beach. 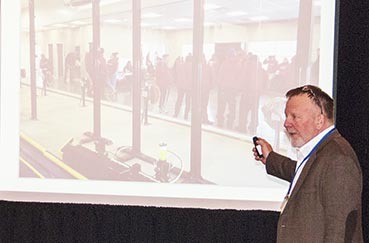 The Expo is hosted by the North Carolina, South Carolina, and Virginia Petroleum Marketing Associations. Liberty is exhibiting at the 2017 Southeast Petro-Food Marketing Expo March 8 – 9, 2017 at the Myrtle Beach Convention Center in Myrtle Beach, South Carolina. We invite everyone to visit our booth 1803 while attending the Expo. Liberty is exhibiting at the 2017 Gulf Coast Food & Fuel Expo March 16 -17, 2017 at the Mississippi Coast Coliseum & Convention Center in Biloxi, Mississippi. We invite everyone to visit our booth 533 while attending the Expo. The Linden Oaks Liberty is one of several stores owned and operated by Holt Oil Company in the greater Fayetteville, North Carolina market. The Liberty brand with the accompanying American flag fit well in the Fayetteville market near Fort Bragg the largest U.S. military installation in terms of population. The Linden Oaks Liberty offers diesel, an ATM, has a beer cave, propane, indoor seating, and has a post office facility inside the location. 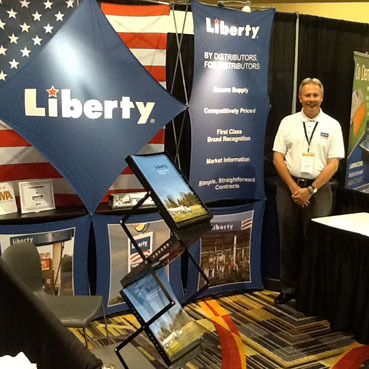 Liberty exhibited at the Sunshine Expo on July 31, 2016 in Orlando. The 2016 NACS show will be held in Atlanta October 18 – 21, 2016. Liberty Petroleum will be exhibiting at NACS and we invite you to visit the Liberty Petroleum booth #7612 in Hall C at this year's NACS show. 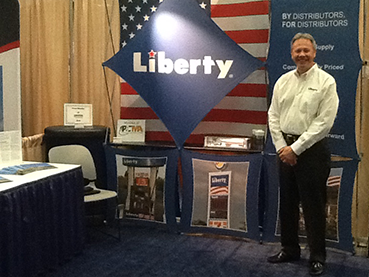 Liberty exhibited May 10 - 11 at the Southwest Fuel & Convenience Expo in Austin, Texas. 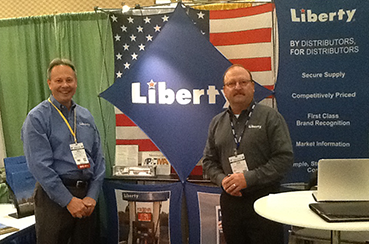 Liberty exhibited March 2 -3, 2016 at the 2016 Southeast Petro Food Marketing Expo in Myrtle Beach. Liberty Petroleum has joined the Texas Food & Fuel Association. Liberty is planning to exhibit at the 2016 Southwest Fuel & Convenience Expo, May 9 - 11, 2016 in Austin, TX. John Patrick and Bill Wilkerson attended the 2015 SIGMA annual meeting November 9 -11, 2015 in Boston. Liberty Petroleum is a member of SIGMA. 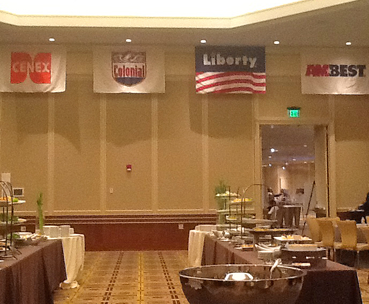 The Liberty flag was displayed during the SIGMA meeting in the ballroom of the SIGMA gathering. SIGMA is the national trade association representing fuel marketers and convenience store chain retailers in the United States and Canada. SIGMA's approximately 260 corporate members command nearly 50 percent of the petroleum retail market, selling approximately 80 billion gallons of motor fuel each year. Liberty exhibited October 12 -14, 2015 at the NACS Expo in Las Vegas. After labor costs, the second largest expense to a convenience retailer is credit and debit card fees. 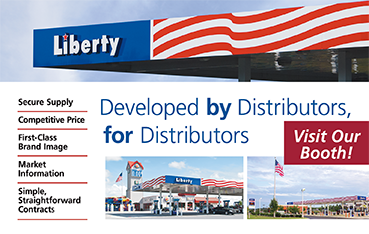 Liberty has made it a priority to offer their distributors a low cost, efficient card processing program through First Data. Liberty is working with First Data to answer questions regarding EMV migration and PCI compliance. 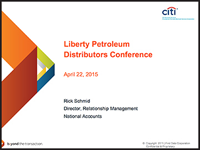 First Data addressed both subjects at the annual Liberty Distributors meeting in April, 2015. View First Data Presentation. Liberty has searched for a Loyalty program that has the features and benefits needed to implement a successful loyalty program for our distributors. The Kickback Rewards program combined with the benefits of Convenience Marketers Association, a national cooperative that negotiates programs for convenience retailers is available to our Liberty distributors. 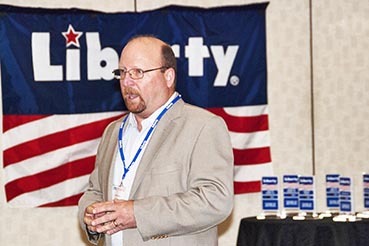 The program was discussed at the annual Liberty Distributors meeting in April, 2015. View CMA Presentation. Bill and John at the WPMA (Western Petroleum Marketers Association) National Convention and Convenience Store Expo in Las Vegas in mid-February. This week, on March 4th and 5th they will be at the Southeast Petro-Food Marketing Exposition in Myrtle Beach, SC. Look for them at booth 1803 in the annex. Bill Fritsch and son Vince own and operate Fritsch's Service Center Liberty located in Broomall, Pa. Their station has been Family owned and operated for 64 years! They joined the Ewing Oil Company family in April 2014 and are celebrating their first Christmas Season as Liberty. Bill and Vince pride themselves on station appearance...and take "customer service" to another level. They are an asset... and welcome addition to the Liberty program! 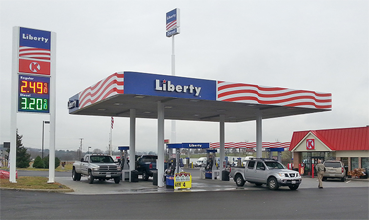 Newly opened Liberty located at exit 98 on Interstate 81 in southwest Virginia. Dublin, Virginia.